Rates as low as 1.99% APR for 36 months and First Month's Payment Credit*FACTORY CERTIFIED PRE-OWNED! 1 Year Unlimited Mile Warranty on top of any remaining portion of the original 4-year/50,000 mile warranty. We are the largest MB Certified Pre-Owned Dealer in WA state based on 2017 sales! Low Miles, Harman/Kardon Surround Sound System, Blind Spot Assist, Panorama Roof, Heated Front Seats, 12 Color Ambient Lighting, Apple CarPlay, KEYLESS-GO! This is a beautiful White CLA 250 4MATIC with Beige MB-Tex and accented with Burl Walnut Wood Trim. It is nicely equipped with: Cirrus White, Beige MB-Tex, Premium 1 Package $2,400: Garage Door Opener, Driver's Side &Interior Auto-Dimming Mirrors, harman/kardon Sound System, Heated Front Seats, KEYLESS-GO, Multimedia Package with Smartphone Integration $2,480: DVD Coding, Apple CarPlay, Rearview Camera, COMAND System w/ Hard Drive Navigation and DVD-Player, Single CD/DVD Player, Sport Package $2,300: AMG Bodystyling, Sport Appearance Package, Burl Walnut Wood Trim $325, Blind Spot Assist $550, Panorama Sunroof $1,480, Comfort Suspension, 18 AMG Multi-Spoke Alloy Wheels - Silver Finish, Ambient Lighting (12 Colors) $155. Original MSRP $44,665 *1.99 percent APR for 36 months at $28.64 per month per $1,000 applies to Certified Pre-Owned Mercedes-Benz Model Year (2015, 2016, and 2017 CLA, C, E, S, GLA) (2016, 2017 GLC, GLE) (2015, 2016 GL) (2017 GLS). Qualified customers only. Not everyone will qualify. Excludes leases and balloon contracts. Minimum finance term applies. Available only at participating authorized Mercedes-Benz dealers through Mercedes-Benz Financial Services (MBFS). Subject to credit approval by MBFS. Must take delivery of vehicle between January 3, 2019 and February 28, 2019. Rate applies only to Mercedes-Benz Certified Pre-Owned model vehicles listed. See your authorized Mercedes-Benz dealer for complete details on this and other finance offers.Rates as low as 1.99% APR for 36 months and First Month's Payment Credit*FACTORY CERTIFIED PRE-OWNED! 1 Year Unlimited Mile Warranty on top of any remaining portion of the original 4-year/50,000 mile warranty. We are the largest MB Certified Pre-Owned Dealer in WA state based on 2017 sales! Low Miles, Harman/Kardon Surround Sound System, Blind Spot Assist, Panorama Roof, Heated Front Seats, 12 Color Ambient Lighting, Apple CarPlay, KEYLESS-GO! This is a beautiful White CLA 250 4MATIC with Beige MB-Tex and accented with Burl Walnut Wood Trim. It is nicely equipped with: Cirrus White, Beige MB-Tex, Premium 1 Package $2,400: Garage Door Opener, Driver's Side &Interior Auto-Dimming Mirrors, harman/kardon Sound System, Heated Front Seats, KEYLESS-GO, Multimedia Package with Smartphone Integration $2,480: DVD Coding, Apple CarPlay, Rearview Camera, COMAND System w/ Hard Drive Navigation and DVD-Player, Single CD/DVD Player, Sport Package $2,300: AMG Bodystyling, Sport Appearance Package, Burl Walnut Wood Trim $325, Blind Spot Assist $550, Panorama Sunroof $1,480, Comfort Suspension, 18 AMG Multi-Spoke Alloy Wheels - Silver Finish, Ambient Lighting (12 Colors) $155. Original MSRP $44,665 *1.99 percent APR for 36 months at $28.64 per month per $1,000 applies to Certified Pre-Owned Mercedes-Benz Model Year (2015, 2016, and 2017 CLA, C, E, S, GLA) (2016, 2017 GLC, GLE) (2015, 2016 GL) (2017 GLS). Qualified customers only. Not everyone will qualify. Excludes leases and balloon contracts. Minimum finance term applies. Available only at participating authorized Mercedes-Benz dealers through Mercedes-Benz Financial Services (MBFS). Subject to credit approval by MBFS. Must take delivery of vehicle between January 3, 2019 and February 28, 2019. 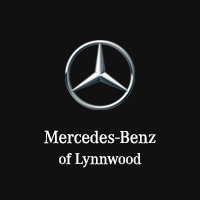 Rate applies only to Mercedes-Benz Certified Pre-Owned model vehicles listed. See your authorized Mercedes-Benz dealer for complete details on this and other finance offers. Rates as low as 1.99% APR for 36 months*FACTORY CERTIFIED PRE-OWNED! 1 Year Unlimited Mile Warranty on top of any remaining portion of the original 4-year/50,000 mile warranty. Low Miles, One Owner, Heated Front Seats, Hands Free Access, Blind Spot Assist, Panorama Roof, Surround View Camera, PARKTRONIC! This is a beautiful Silver C 300 4MATIC with Black MB-Tex and accented with Black Ash Open Pore Wood Trim. It is a one owner vehicle with no accidents or damage reported to CARFAX. It is nicely equipped with: Iridium Silver Metallic $720, Black MB-Tex, Premium 1 Package $700: KEYLESS-GO(R), Entrance Lamps in Doors, HANDS-FREE ACCESS Package $250: HANDS-FREE ACCESS, Parking Assist Package $1,290: Surround View Camera, PARKTRONIC with Active Parking Assist, PTC Auxiliary Heater, Rear Deck Spoiler $350, 18-Inch Twin 5-Spoke Wheels $500, Blind Spot Assist $550, Rear Side Airbags, SD-Card Navigation Pre-wiring, Panorama Sunroof $1,480, Comfort suspension, Black Ash Open Pore Wood $325, Heated Front Seats $580. Original MSRP $48,620 *1.99 percent APR for 36 months at $28.64 per month per $1,000 applies to Certified Pre-Owned Mercedes-Benz Model Year (2015, 2016, and 2017 CLA, C, E, S, GLA) (2016, 2017 GLC, GLE) (2015, 2016 GL) (2017 GLS). Qualified customers only. Not everyone will qualify. Excludes leases and balloon contracts. Minimum finance term applies. Available only at participating authorized Mercedes-Benz dealers through Mercedes-Benz Financial Services (MBFS). Subject to credit approval by MBFS. Must take delivery of vehicle between March 1st, 2019 and April 1st, 2019. Rate applies only to Mercedes-Benz Certified Pre-Owned model vehicles listed. See your authorized Mercedes-Benz dealer for complete details on this and other finance offers.Rates as low as 1.99% APR for 36 months*FACTORY CERTIFIED PRE-OWNED! 1 Year Unlimited Mile Warranty on top of any remaining portion of the original 4-year/50,000 mile warranty. Low Miles, One Owner, Heated Front Seats, Hands Free Access, Blind Spot Assist, Panorama Roof, Surround View Camera, PARKTRONIC! This is a beautiful Silver C 300 4MATIC with Black MB-Tex and accented with Black Ash Open Pore Wood Trim. It is a one owner vehicle with no accidents or damage reported to CARFAX. It is nicely equipped with: Iridium Silver Metallic $720, Black MB-Tex, Premium 1 Package $700: KEYLESS-GO(R), Entrance Lamps in Doors, HANDS-FREE ACCESS Package $250: HANDS-FREE ACCESS, Parking Assist Package $1,290: Surround View Camera, PARKTRONIC with Active Parking Assist, PTC Auxiliary Heater, Rear Deck Spoiler $350, 18-Inch Twin 5-Spoke Wheels $500, Blind Spot Assist $550, Rear Side Airbags, SD-Card Navigation Pre-wiring, Panorama Sunroof $1,480, Comfort suspension, Black Ash Open Pore Wood $325, Heated Front Seats $580. Original MSRP $48,620 *1.99 percent APR for 36 months at $28.64 per month per $1,000 applies to Certified Pre-Owned Mercedes-Benz Model Year (2015, 2016, and 2017 CLA, C, E, S, GLA) (2016, 2017 GLC, GLE) (2015, 2016 GL) (2017 GLS). Qualified customers only. Not everyone will qualify. Excludes leases and balloon contracts. Minimum finance term applies. Available only at participating authorized Mercedes-Benz dealers through Mercedes-Benz Financial Services (MBFS). Subject to credit approval by MBFS. Must take delivery of vehicle between March 1st, 2019 and April 1st, 2019. Rate applies only to Mercedes-Benz Certified Pre-Owned model vehicles listed. See your authorized Mercedes-Benz dealer for complete details on this and other finance offers. Rates as low as 1.99% APR for 36 months*FACTORY CERTIFIED PRE-OWNED! 1 Year Unlimited Mile Warranty on top of any remaining portion of the original 4-year/50,000 mile warranty. Low Miles, One Owner, Navigation, Hands Free Access, Rearview Camera, Panorama Roof, Blind Spot Assist, Heated Front Seats! This is a beautiful White C 300 4MATIC with Black MB-Tex and accented with Black Ash Open Pore Wood Trim. It is a one owner vehicle with no accidents or damage reported to CARFAX. It is nicely equipped with: Polar White, Black MB-Tex, Premium 1 Package $700: KEYLESS-GO(R), Entrance Lamps in Doors, Multimedia Package $2,230: COMAND DVD CD Single, COMAND w/Navigation and Voice Control, DVD Coding, HANDS-FREE ACCESS Package $250: Electronic Trunk Closer, HANDS-FREE ACCESS, Wheel Locking Bolts $140, Rearview Camera $460, 18-Inch Twin 5-Spoke Wheels $500, Blind Spot Assist $550, Rear Side Airbags, Panorama Sunroof $1,480, Comfort suspension, Black Ash Open Pore Wood $325, Heated Front Seats $580. Original MSRP $49,090 *1.99 percent APR for 36 months at $28.64 per month per $1,000 applies to Certified Pre-Owned Mercedes-Benz Model Year (MY 15,16,17,18 CLA, C, E, S, GLA) (MY 16,17, 18 GLC, GLE) (2015, 2016 GL) (2017 GLS). Qualified customers only. Not everyone will qualify. Excludes leases and balloon contracts. Minimum finance term applies. Available only at participating authorized Mercedes-Benz dealers through Mercedes-Benz Financial Services (MBFS). Subject to credit approval by MBFS. Must take delivery of vehicle between April 2, 2019 and April 30, 2019. Rate applies only to Mercedes-Benz Certified Pre-Owned model vehicles listed. See your authorized Mercedes-Benz dealer for complete details on this and other finance offers.Rates as low as 1.99% APR for 36 months*FACTORY CERTIFIED PRE-OWNED! 1 Year Unlimited Mile Warranty on top of any remaining portion of the original 4-year/50,000 mile warranty. Low Miles, One Owner, Navigation, Hands Free Access, Rearview Camera, Panorama Roof, Blind Spot Assist, Heated Front Seats! This is a beautiful White C 300 4MATIC with Black MB-Tex and accented with Black Ash Open Pore Wood Trim. It is a one owner vehicle with no accidents or damage reported to CARFAX. It is nicely equipped with: Polar White, Black MB-Tex, Premium 1 Package $700: KEYLESS-GO(R), Entrance Lamps in Doors, Multimedia Package $2,230: COMAND DVD CD Single, COMAND w/Navigation and Voice Control, DVD Coding, HANDS-FREE ACCESS Package $250: Electronic Trunk Closer, HANDS-FREE ACCESS, Wheel Locking Bolts $140, Rearview Camera $460, 18-Inch Twin 5-Spoke Wheels $500, Blind Spot Assist $550, Rear Side Airbags, Panorama Sunroof $1,480, Comfort suspension, Black Ash Open Pore Wood $325, Heated Front Seats $580. Original MSRP $49,090 *1.99 percent APR for 36 months at $28.64 per month per $1,000 applies to Certified Pre-Owned Mercedes-Benz Model Year (MY 15,16,17,18 CLA, C, E, S, GLA) (MY 16,17, 18 GLC, GLE) (2015, 2016 GL) (2017 GLS). Qualified customers only. Not everyone will qualify. Excludes leases and balloon contracts. Minimum finance term applies. Available only at participating authorized Mercedes-Benz dealers through Mercedes-Benz Financial Services (MBFS). Subject to credit approval by MBFS. Must take delivery of vehicle between April 2, 2019 and April 30, 2019. Rate applies only to Mercedes-Benz Certified Pre-Owned model vehicles listed. See your authorized Mercedes-Benz dealer for complete details on this and other finance offers. Rates as low as 1.99% APR for 36 months*FACTORY CERTIFIED PRE-OWNED! 1 Year Unlimited Mile Warranty on top of any remaining portion of the original 4-year/50,000 mile warranty. Low Miles, LED Headlamps, Heated Front Seats, Blind Spot Assist, Panorama Roof, Apple CarPlay, Android Auto, Harman/Kardon Surround Sound System! This is a beautiful Black CLA 250 4MATIC with Sahara Beige MB-Tex and accented with Black Ash Matte Wood Trim. It is a vehicle with no accidents or damage reported to CARFAX. It is nicely equipped with: Night Black, Sahara Beige MB-Tex, Smartphone Integration Package: Apple CarPlay, Android Auto $350, Black Ash Matte Wood Trim $325, Blind Spot Assist $550, Panorama Sunroof $1,480, 18 Multi-Spoke Wheels $500, Audio 20 CD w/ Garmin Navigation Pre-Wiring, Static LED Headlamps $850, Comfort Suspension, harman/kardon LOGIC7(R) Sound System $850, Heated Front Seats $580. Original MSRP $41,180 *1.99 percent APR for 36 months at $28.64 per month per $1,000 applies to Certified Pre-Owned Mercedes-Benz Model Year (MY 15,16,17,18 CLA, C, E, S, GLA) (MY 16,17, 18 GLC, GLE) (2015, 2016 GL) (2017 GLS). Qualified customers only. Not everyone will qualify. Excludes leases and balloon contracts. Minimum finance term applies. Available only at participating authorized Mercedes-Benz dealers through Mercedes-Benz Financial Services (MBFS). Subject to credit approval by MBFS.Must take delivery of vehicle between April 2, 2019 and April 30, 2019. Rate applies only to Mercedes-Benz Certified Pre-Owned model vehicles listed. See your authorized Mercedes-Benz dealer for complete details on this and other finance offers.Rates as low as 1.99% APR for 36 months*FACTORY CERTIFIED PRE-OWNED! 1 Year Unlimited Mile Warranty on top of any remaining portion of the original 4-year/50,000 mile warranty. Low Miles, LED Headlamps, Heated Front Seats, Blind Spot Assist, Panorama Roof, Apple CarPlay, Android Auto, Harman/Kardon Surround Sound System! This is a beautiful Black CLA 250 4MATIC with Sahara Beige MB-Tex and accented with Black Ash Matte Wood Trim. It is a vehicle with no accidents or damage reported to CARFAX. It is nicely equipped with: Night Black, Sahara Beige MB-Tex, Smartphone Integration Package: Apple CarPlay, Android Auto $350, Black Ash Matte Wood Trim $325, Blind Spot Assist $550, Panorama Sunroof $1,480, 18 Multi-Spoke Wheels $500, Audio 20 CD w/ Garmin Navigation Pre-Wiring, Static LED Headlamps $850, Comfort Suspension, harman/kardon LOGIC7(R) Sound System $850, Heated Front Seats $580. Original MSRP $41,180 *1.99 percent APR for 36 months at $28.64 per month per $1,000 applies to Certified Pre-Owned Mercedes-Benz Model Year (MY 15,16,17,18 CLA, C, E, S, GLA) (MY 16,17, 18 GLC, GLE) (2015, 2016 GL) (2017 GLS). Qualified customers only. Not everyone will qualify. Excludes leases and balloon contracts. Minimum finance term applies. Available only at participating authorized Mercedes-Benz dealers through Mercedes-Benz Financial Services (MBFS). Subject to credit approval by MBFS.Must take delivery of vehicle between April 2, 2019 and April 30, 2019. Rate applies only to Mercedes-Benz Certified Pre-Owned model vehicles listed. See your authorized Mercedes-Benz dealer for complete details on this and other finance offers.